“Would you support her at her first time,” asked my daddy. “Can she absolutely not skate?” Asked the strict coach with suspicion, estimating my tiny height, even for a four year old. "No, I mean morally,” laughed my father. 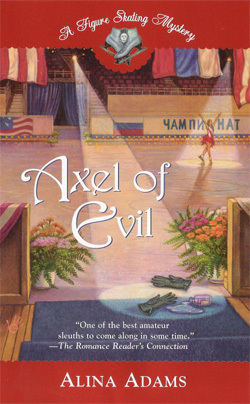 All of figure skating is based on a moral will-to-win basis. Who forces kids to come to practice training, hardly having woken up? Yes, initially it is mom. But then - only will. Where does it come from? One either has it or does not. I was simply bursting into my life. In fact, it is possible to see (this nature) already in children - if there is a thirst for life or not. At six o'clock n the morning, it was necessary to go to practice in the darkness during winter. There is no subway in Strogin. I had to reach the rink by using three trams where one stands, waits and thinks of nothing. At seven years old, sometimes our grandmothers met us, or sometimes they saw us off to the tram stop. But at eight it was all over. Time for full self-sufficiency and self-management. 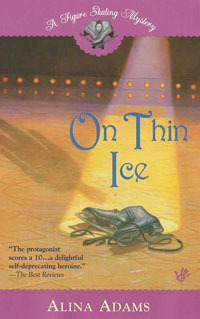 Figure skating is not the most traumatic kind of sports. Or so it was always considered. But take apart any figure skater of high calibre and (ask)… why do they need that? (Because) it is their trade, chosen since childhood, confirmed by years of practice, frequently paying back with tears, but then rewarding. Everyone has their own stimulus to go out on the ice. Some do not hide that they cannot do anything else; the ice provides stable earnings. Some cannot function without a muscular workout. Some simply live a full life only on the ice. And the rest are all insignificant. 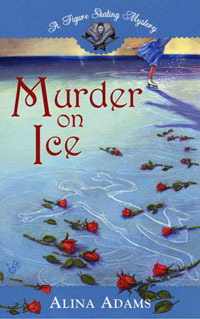 For a chance to win copies of "Murder on Ice" and "On Thin Ice," please visit www.AlinaAdams.com.